Although the weather was, let’s just say, rain, rain & more rain, we persevered. Andrea and Jim were so much fun and very easy going. They took the bad weather in stride and made the best of the conditions. The Mass was held at the Chapel of the Divine Compassion in White Plains and played to a packed house. I can honestly say, I can’t remember seeing so many people attend a mass. After the church we headed to the Rye Town Hilton for family photos. As luck would have it, the rain stopped and family pictures were taken outside. Arcadia Florists in Mamaroneck did a wonderful job with the floral decorations. The night went incredibly well and the crowd had a tremendous amount of energy and enthusiasm. The band was Soul System Orchestras and they were awesome!!!! The wedding and so much energy and was so fun filled. Let’s just say i had a BLAST!!!!! 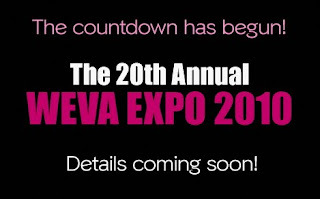 I attended the WEVA Conference and trade show last week in Olraldo Florida and it was awesome!!!!! Met some wonderful people and got so many incredible ideas for my business. Also purchased new equipment and I haven’t stopped since I’ve returned!!! I feel very blessed and am so thrilled with the knowledge that I absorbed. This will allow me to take my films to another level. I am so thrilled at the chance to bring these new ideas and concepts to my clients. It’s a very exciting time. Can’t wait till next year’s Expo.